If you practice an earth-based spiritual path, there’s a good chance that you have tools made in whole or in part of animal parts. Some of the most common tools practitioners use are fans made of feathers, preserved wings, and single feathers. Here are some tips on preparing and caring for these tools to help keep them in good condition and lasting a long time. 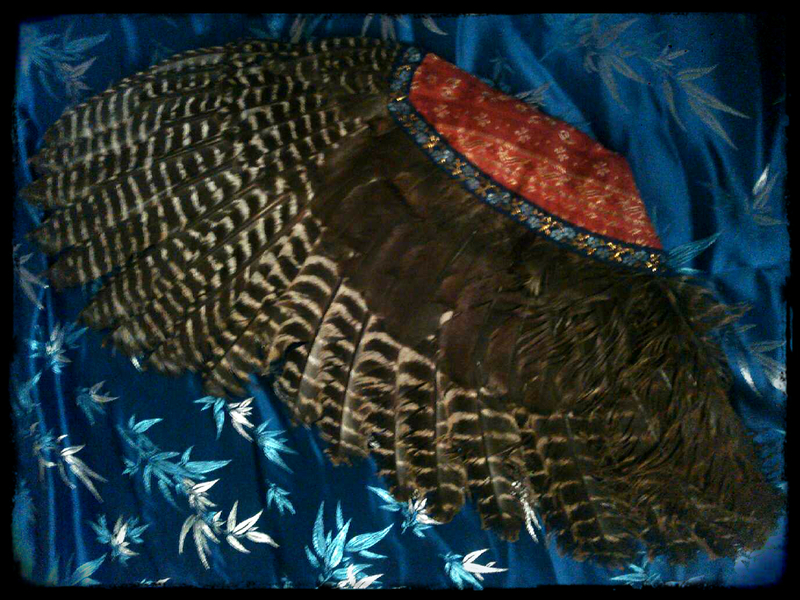 My Fire Sister made a turkey wing fan for me as a gift from a roadkill turkey. She has the matching wing, also made into a fan. I actually display this when it’s not in use and my heart is warmed every time I see it and think of her. Some folks prepare entire bird wings for tools. If you’re preparing a piece of animal that is found dead (or dies in front of you), first you should make sure that the parts are free of maggots and bugs. I really recommend that you only use animal parts that don’t have a smell to them to avoid some of the risks of dealing with dead things like mites, diseases and other problems, some of which can cross species. Remember that unless you saw an animal die you don’t know what killed it and even if it did die in front of you there’s still no way to be sure what sicknesses a wild animal might carry. The key to preserving a wing is to get rid of all the moisture in the wing. The water causes much of the decay. If you’re removing a wing, do so by snipping at the joints of the wing. Next, take a large plastic tub and fill it halfway in salt. Position the wing in the salt as you wish to preserve it. It will be frozen in whatever position it’s in during this part of the process. Next, cover it over with salt. Different people leave parts in salt for different time frames, but I like to leave them for at least a month because, well, I’m squeamish to be honest. You may want to check it from time to time to make sure enough salt is still covering it as fluid going into the salt will need replaced and salt might settle away from the wing. You want to keep this thing sandwiched in the salt. Spiritually speaking, the salt (being the body of the earth) will begin to separate energies that don’t belong in the parts or that are not part of the future tool’s true nature during this time. You’ll want to check and make sure there aren’t any heavy energies lurking around your container during this process. If you detect them, this is the easiest time to clear them before they get into any other tools or cause discomfort in your home. After an appropriate amount of time has passed, you can take the wing out of the salt and examine it. Is it completely dry? If not, repeat the process until all the fluid is gone for sure. If any moisture remains, the wing will begin to smell and decompose further. You’re now free to clean the wing off and start the next preparation step. Next you need to make sure the feather or wing is free of mites, bugs, and has some insurance against parasites and other buggers that might be hidden inside the fibers or might be attracted to the tool later. The best thing you can do to get rid of these problems is cedar wood, juniper or palo santo plants. The first time you do this with a new tool, using a layer of rosemary, lavender and/or tea tree is also a good idea as these are good for killing eggs. One of my apprenticeships required a trip to Ireland and Peru. 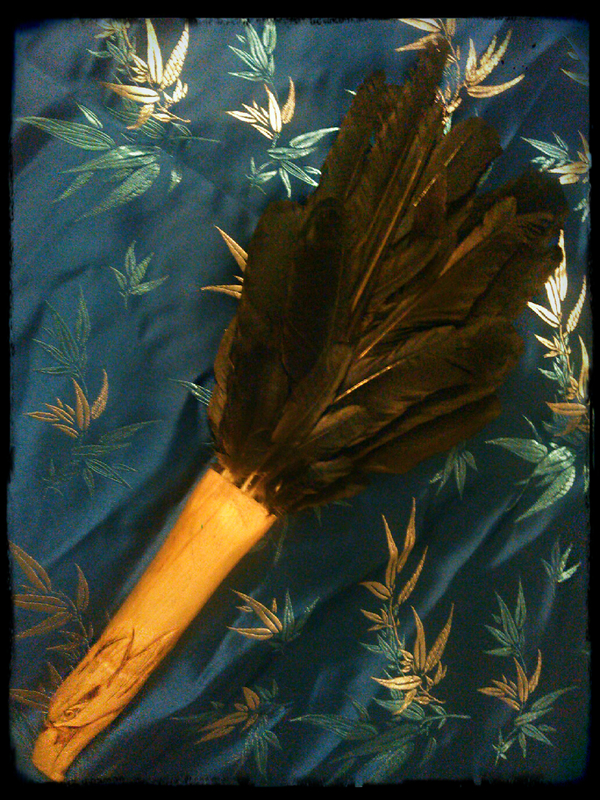 I made this fan from Irish crow feathers and a handle carved from palo santo by a practitioner in Peru. It’s a powerful part of my story because of who those trips helped me become. I carry appropriate licenses to own these materials. I generally make a smokeless smudge spray without the salt in it and spray the tools down. If I didn’t see the animal die personally, I might spray it with Rose Florida Water or Vodka first to make sure all the ick is dead. Remember that ‘spirits’ and alcohol expand the spiritual nature of a tool but doesn’t expand the soul structure (thus, doing this too often can warp the power of the tools, so I don’t encourage doing this too often). Then you’re ready to do whatever you intend to do with the tool, whether that be keeping a feather single, making a fan or whatever. Finally, you need to either store tools in a cedar box or treat them again for bugs and parasites every six months. To do that, simply use your oils spray made of cedar wood, palo santo or juniper (these are listed in order of strength for this purpose). This keeps pests from them and helps prevent them from looking moth eaten from microscopic pests. 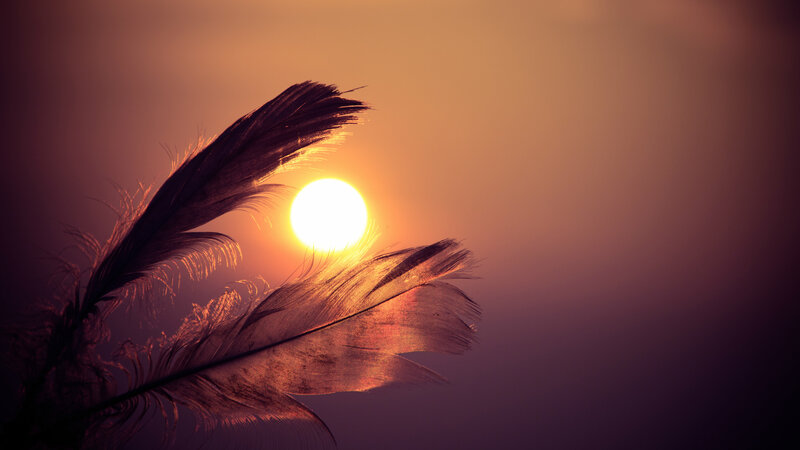 As a last note, you should be aware that not all feathers and animal parts are fair game simply because you found them on the ground and they look cool. I have a license to have the animal parts I use for spiritual work, but where you are the objects I’ve posted images of may not be legal to own without a license regardless of whether you use these for spiritual/religious work or not (for instance, it is illegal to own crow feathers in the USA without a license). Please be as compliant with the law as is possible so we can continue to have the privilege of using these tools legally and have more evidence for making our spiritual tools easier to access for all legally. These laws are in place to keep the populations of these animals going and safe, and we want our winged family to continue to live in happy, healthy relationship with us and the rest of creation. I hope this was helpful to you. Be sure to share this post with folks whom it might help!